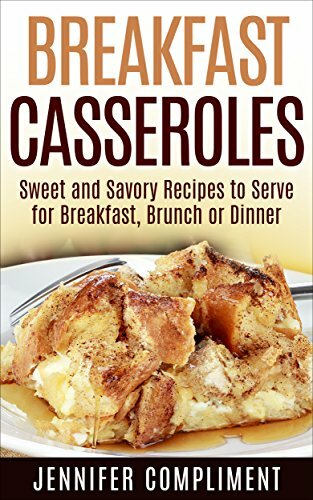 Now with our crazy schedule, it is no surprise that casseroles are a go-to for me when I don’t use my crockpot. 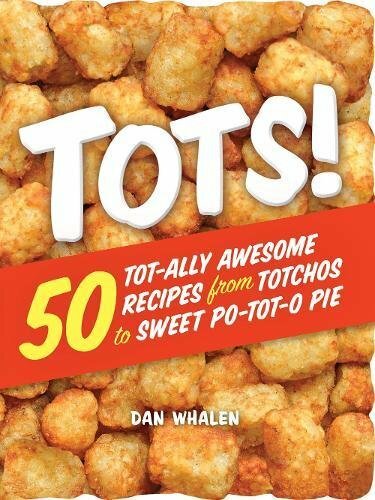 Tater tot casserole is one of the first dinners that Michael learned to cook on his own so it’s always been a family favorite. 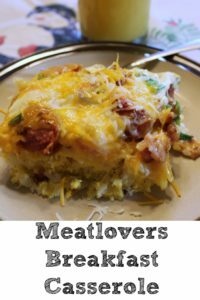 Isabella was the most excited to make this because it had bacon, eggs, and the tater tots in it we started to layer everything together. Slice and dice your bacon to the doneness you like in a pan, remember the bacon will cook a smidge more in the oven as well. 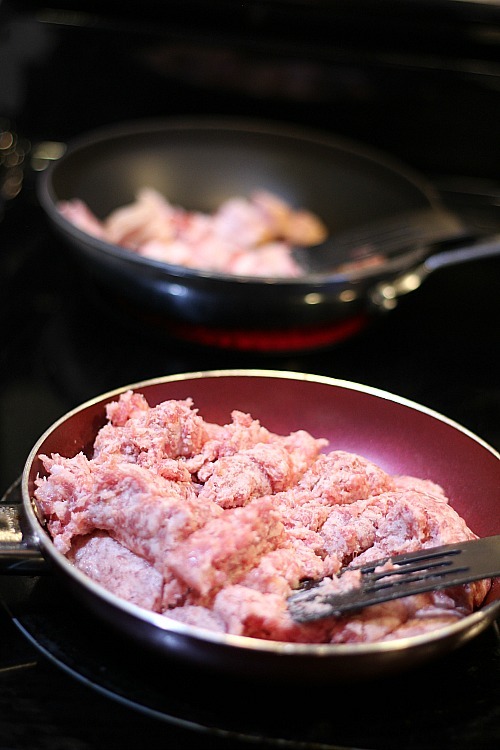 In another skillet cook your sausage until it is cooked thoroughly and drain the fat. 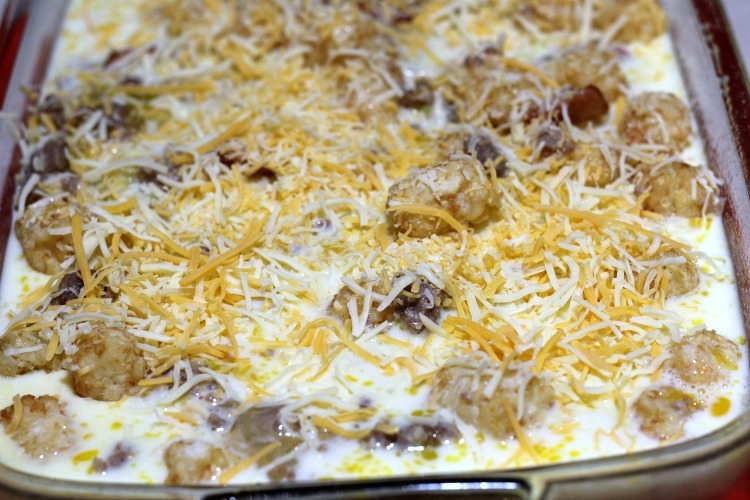 In a bowl combine together your tater tots, bacon, cooked sausage, and cheeses. 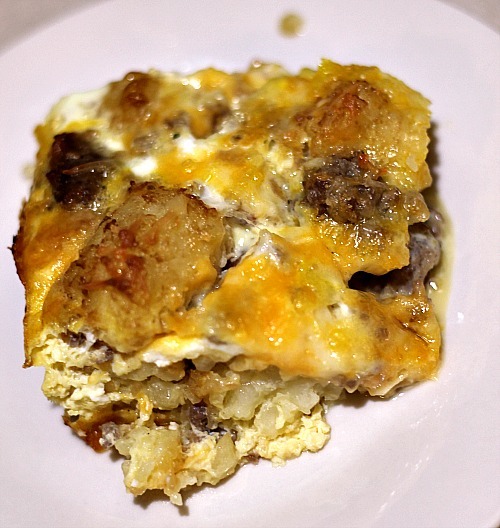 Whisk together eggs, salt, pepper, garlic powder, onion powder, and milk. 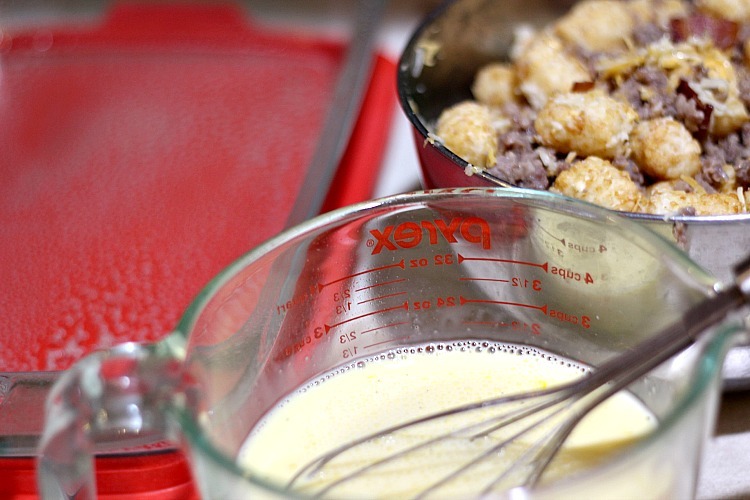 Pour the egg mixture over the tater tots in the pan. 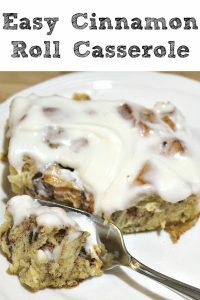 Bake for 65 minutes or until the eggs cook all the way through. 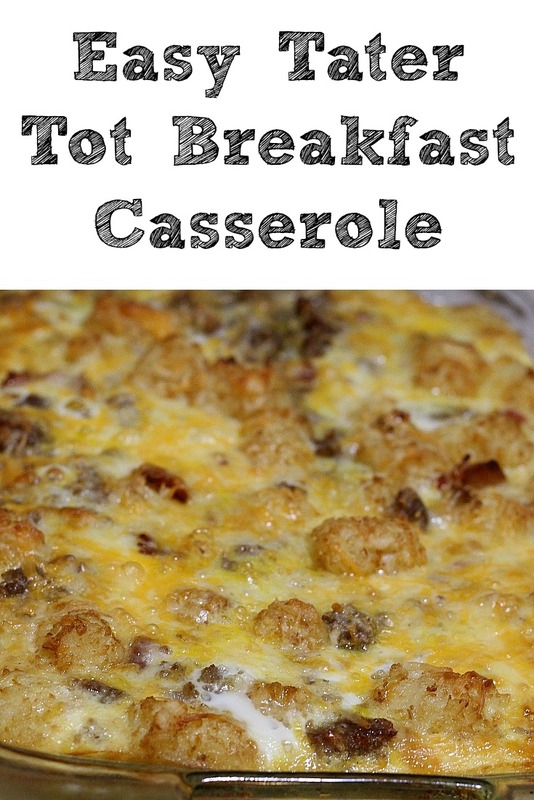 This Easy Tater Tot Breakfast Casserole Recipe is perfect for breakfast, brunch, or dinner! 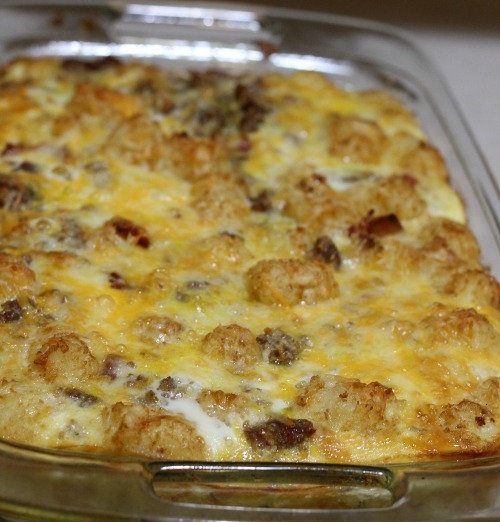 Loaded with tater tots, cheese, sausage, and eggs it's perfect! 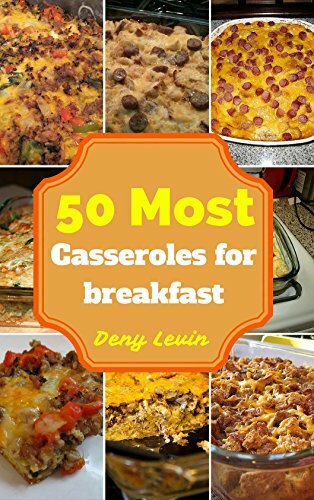 You can top with more cheese or add more cheese!! !